are available for all games. Click here to purchase a gift voucher. Escape Room LA games are live-action adventures where you’ll race to solve clues and puzzles and escape before your time runs out! Open a secret portal that leads you to the lost undersea world of Atlantis. 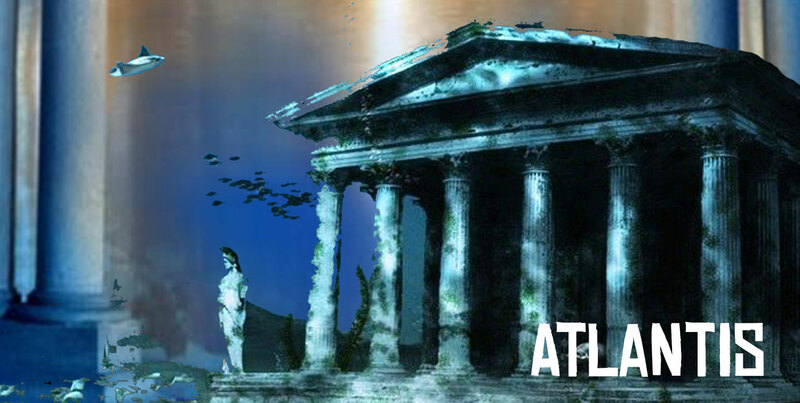 Challenging clues and puzzles will guide you through the mysterious ancient ruins as you race against time… can you raise Atlantis from the ocean before your air supply runs out? 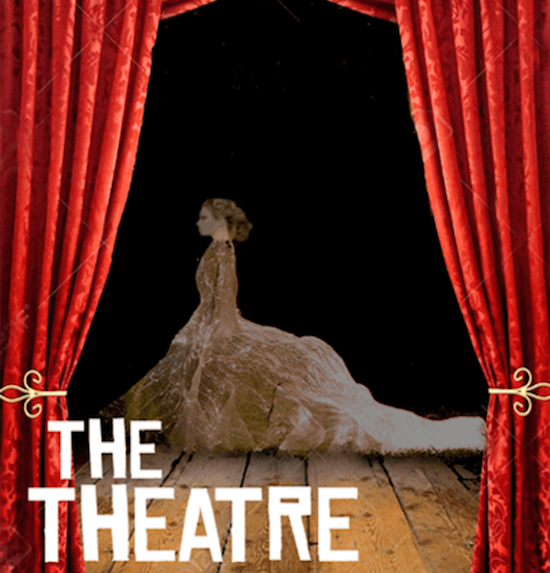 Enter the stage door of an old haunted theatre, where you must free the ghost before the performance begins! Find a series of mysterious objects to create a magical spell and release the ghost before your time runs out. Will you escape? 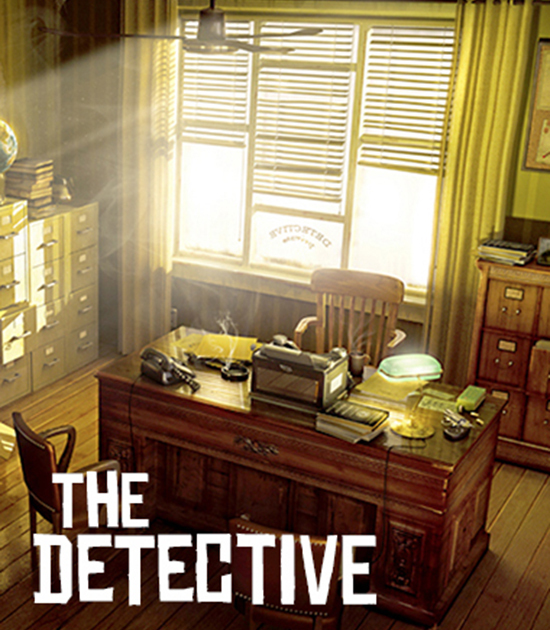 Step back in time into a 1940s detective’s office, where you’ll find yourself trapped in a film-noir style Hollywood mystery. Identify suspects, solve challenging puzzles and clues and find a way out before your time runs out! Will you escape? 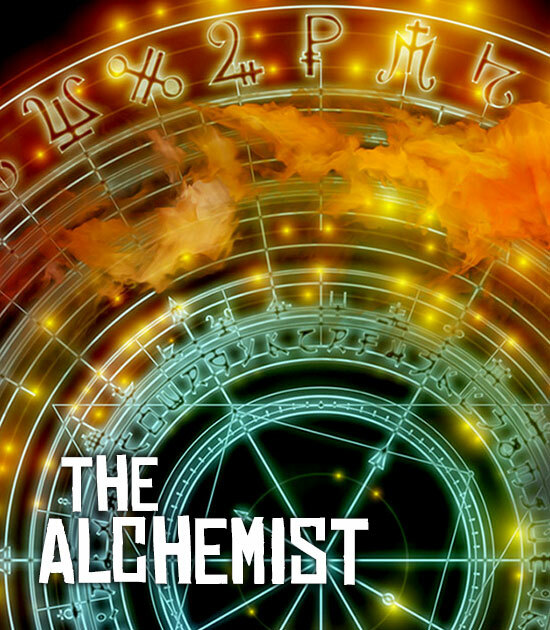 In a medieval alchemist’s mysterious lab, you must unite the four elements and unleash the magical powers of the Philosopher’s Stone before the alchemist returns! Will you escape? Set out on an expedition to a hidden jungle pyramid in search of The Mask of the Jade Warrior, a fabled lost treasure of the Maya. 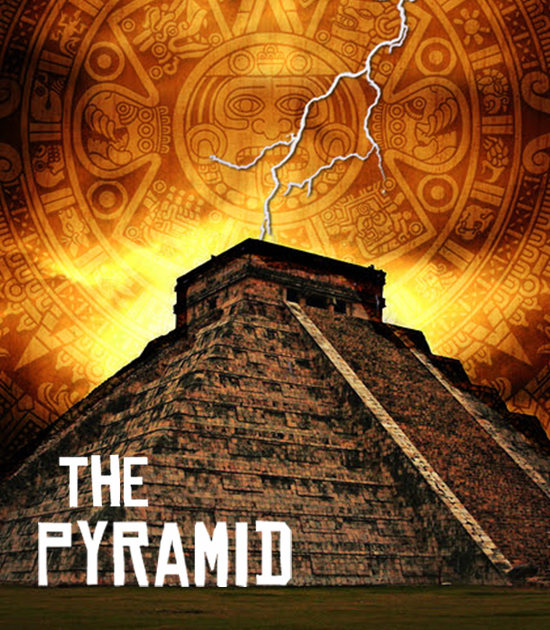 The mask is hidden in a secret tomb deep within the ancient pyramid. But to find it, you must solve the pyramid’s perplexing puzzles, riddles and challenges. Escape Room LA contains fun and challenging puzzles your group must solve before your time runs out! Clues are tricky, but no special skills or knowledge is required. 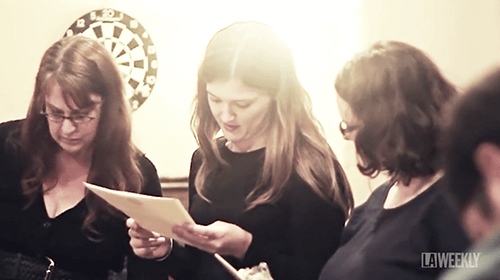 Escape Room LA is the perfect team-building activity for your staff, co-workers, school, club or other group. Everyone must work together to escape from the room! Escape Room LA is a great way to celebrate a birthday or special occasion. Book any of our rooms and hold a private event just for your group! Looking for a fun and unique activity for your friends, family, or out-of-town visitors? Escape Room LA is a one-of-a-kind interactive adventure that everyone will love! 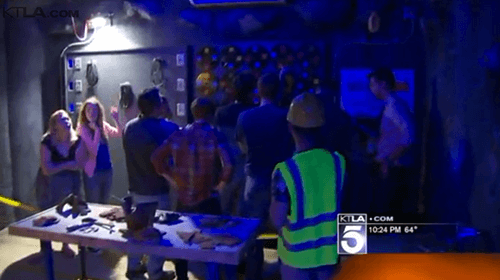 KTLA’s Doug Kolk takes you to Escape Room LA’s The Cavern. Can he solve the clues and escape before time runs out? 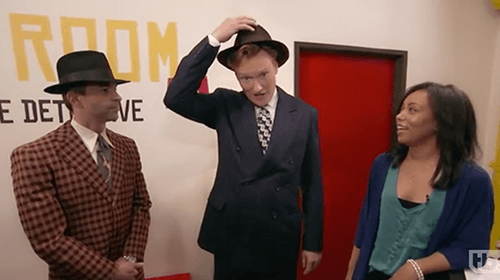 Can Jordan solve the clues and escape from The Detective before Conan snaps and kills him? LA Weekly’s reporters and staff find themselves trapped inside a film noir-style Hollywood mystery. 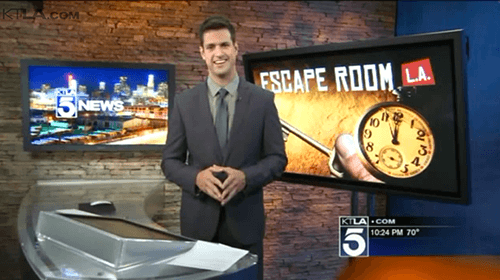 KTLA News attempts to free the ghost at The Theatre.